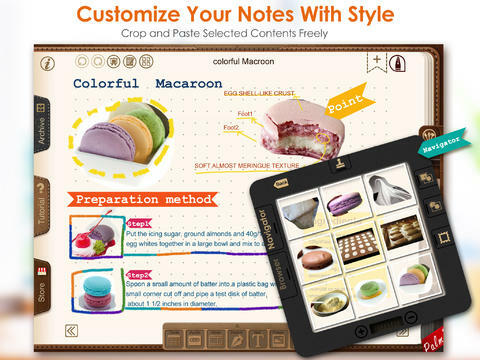 Noteledge is am all-inclusive note-taking application for iOS from KDan Mobile Software. From the same developer that created the excellent (and free) PDF reader application, KDan have built an iOS app that is the ideal tool for creating notes on-the-go. 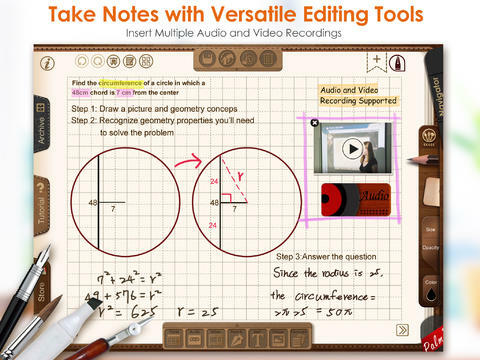 Whether you prefer handwriting, typing, audio or video as your method of taking notes – Noteledge can handle it all. You can create some pretty amazing notes by combining the available tools, with Noteledge capable of incorporating written or typed text, images, audio and video all into the one note. There’s an integrated web browser so you can simply drag-and-drop media without having to leave the application. Despite the number of features, the interface itself easy to navigate and straightforward to use. Some of the icons do take a little bit of working out but everything is very intuitive. Text can be written in a number of fonts, colors and sizes – even your handwriting can be customised with pencil, crayon and more. Once you’ve created notes using Noteledge you can easily share or export them via Facebook, email etc or back them up using a suite of popular Cloud-based storage services like DropBox. You can also sort your notes in a chronological fashion using the app’s Calendar, which is a great idea for keeping things organised. 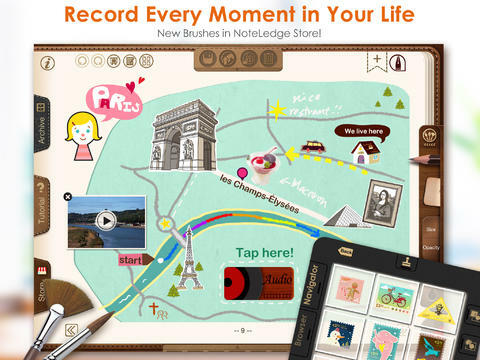 Noteledge is a free app and certainly worth a download. A premium version is available on the App Store for $2.99 and has some extra features. Noteledge requires iOS 5.0 or later. Compatible with iPad.